Extracts are the second step in an Jedox Integrator process. With extracts, you can determine which data are taken from the source systems (data sources). The data to be extracted (an extract) is defined via the connection with the source, or it is statically defined or generated dynamically within Jedox Integrator. Tree as source This is a hierarchically structured data source with the elements, consolidations, and weight and attribute information. Examples for tree sources are extract types dimension, tree, and calendar. For data preview and for referencing in a transform, the tree format has to be indicated. This defines in which way the tree is rendered to a table. 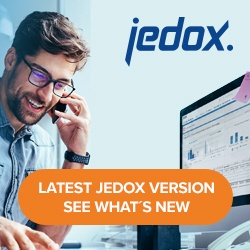 In all file-based connection types (File, XmlFile and ExcelFile), the URL of the file in the Jedox Web Report Designer can be entered as a filename. To extract data from CSV, XML, or XLSX files, you can use the Import Wizard in the Report Designer for the import. The URL target of the file can be copied from the Report Designer under Properties→Link. It has to include the credentials.